Currently into all forms of loose tees to half tuck, untuck and tucked all the way round. I love the Zara one and the Topshop one. Oh, I have the same YSL top from Oasap and I love it!!! 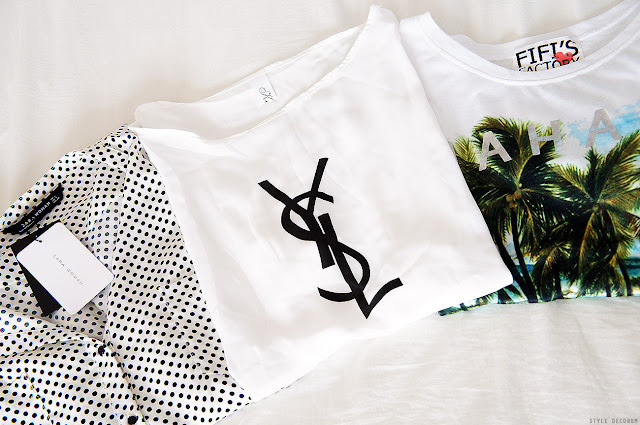 These tees are super. My fave is the middle one!